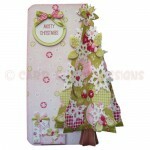 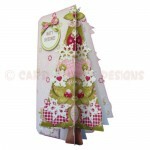 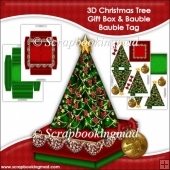 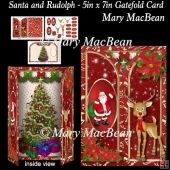 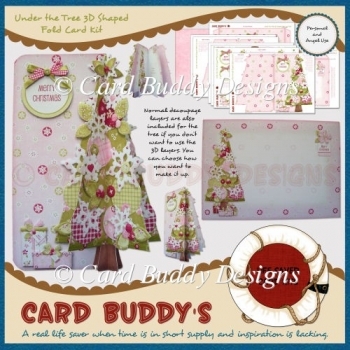 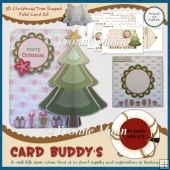 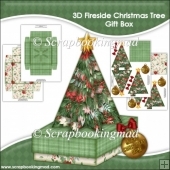 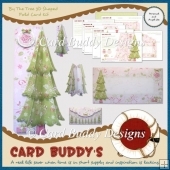 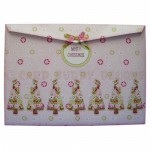 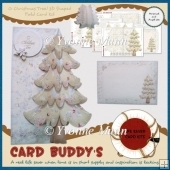 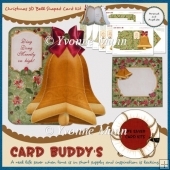 This large 3D shaped Christmas card features a pretty tree which will pop up when the card is taken out of the envelope; or you can add the normal decoupage style layers which are also included; or it can be left unlayered and just made as a quick card. 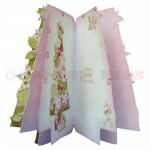 You can choose how you want to make it up. 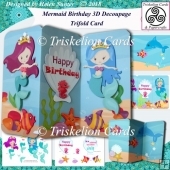 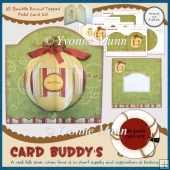 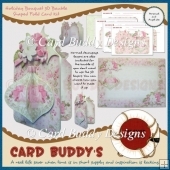 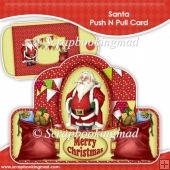 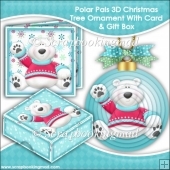 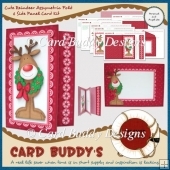 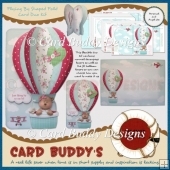 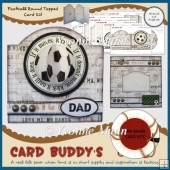 Two different fully shaped inserts are included, one with a greeting and one which has been left blank for you to add your own greeting or message, and it comes with a matching envelope but it is also designed to fit a standard C5 (9x6.5 inch) envelope if you only want to make the card. 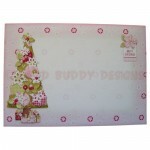 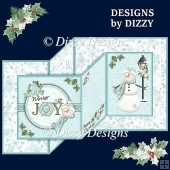 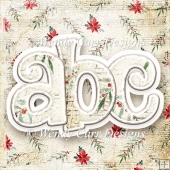 This kit contains NINE different sheets to choose from and step by step instructions are included on each of the sheets.